$350. 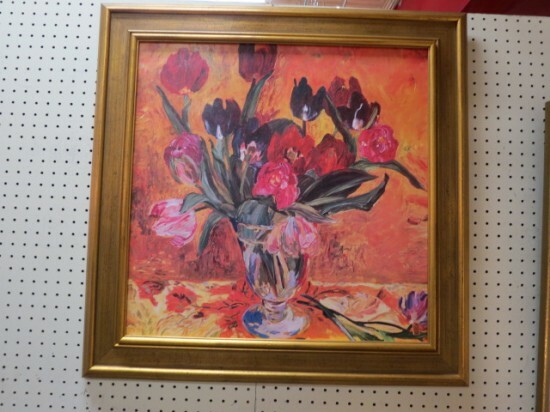 Vintage mid-century modern large floral oil painting. Colorful oil painting of tulips in pink, orange, yellow, green, purple. Gold double frame. Perfect for your gallery wall. Excellent condition. 31in wide, 31in deep.